The CFP® Certification Exam tests the ability of candidates to use the financial planning process to help clients achieve their financial goals. The test consists of multiple choice questions that seek to evaluate candidates on issues requiring problem solving at different cognitive levels. Candidates must have learned not only the knowledge required by the 72 Principal Knowledge Topics but also be able to apply this knowledge to particular contexts and know how to use this knowledge to analyze, synthesize, and evaluate the facts of a given situation. In preparing candidates for the CFP® Certification Exam, Keir Educational Resources has developed a study method that achieves the aims of CFP® certification by imparting the thought process required of a financial planner. 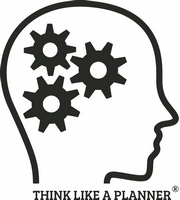 The THINK LIKE A PLANNER® Study Method takes candidates through the stages of knowledge, comprehension, application, analysis, synthesis, and evaluation to expand problem solving skills and develop all levels of thinking needed for the CFP® exam as well as the thinking skills needed for a career in financial planning. Which of the following statements concerning a will are correct? parents hold in joint tenancy with right of survivorship. (2) A will is required to name guardians and custodians for minor children. (3) A will is required to make gifts to charity. (4) A will contest can be avoided by careful drafting of the will. This question requires candidates to recall what they have read and to demonstrate their understanding of that reading by selecting the statements that are correct. The candidate should have read that a will is not effective for passing property interests owned in joint tenancy with right of survivorship. The candidate should also recall from the reading that a will is required for naming a guardian and a custodian for minor children and for making gifts to charity. Finally, the candidate should be able to apply the principle that a will contest is very hard to avoid under almost any circumstances, so even careful drafting of the will does not prevent it. Candidates should be able to discover from their reading that the answer to this question is B. This question and thousands of others in our on-line data bank reinforce this important technical information needed as a fund of knowledge for moving to the higher cognitive levels. Candidates may not need to answer all of these questions, but can use them as they find that they are weak in particular topic areas. Mr. and Mrs. Jones own 649 acres of farmland deeded as “joint tenants, not as tenants in common.” Currently, the land has an appraised value of $3,000 per acre, and it continues to appreciate annually in value. In addition, Mr. Jones holds a $250,000 CD in his name only, and Mrs. Jones holds a $250,000 CD in her name only. Mr. and Mrs. Jones have no debts. Mrs. Jones’ last will and testament provides that, “all of my assets at my death shall be divided in three equal portions among my children and my husband.” Mrs. Jones dies unexpectedly, leaving her husband and two children as her sole heirs. Which of the following statements is true? A. The children will inherit two-thirds of Mrs. Jones’ interest in the CD and her 50% interest in the farm. B. The children will inherit two-thirds of Mrs. Jones’ interest in the CD and no interest in the farm. C. The children will inherit two-thirds of Mrs. Jones’ interest in the CD and two-thirds of her 50% interest in the farm. D. The children will inherit a statutory interest in the CD and the farm. E. The children’s share of Mrs. Jones’ CD and her 50% interest in the farm are subject to probate. This question requires candidates to apply their knowledge of wills and the principle that a will is ineffective in making disposition of property held in joint tenancy. This principle was reviewed in the previous question, and now candidates must learn how to apply their knowledge. In the facts of this question, Mr. and Mrs. Jones own the farmland in joint tenancy, so the title to the farm will pass entirely to the surviving spouse, Mr. Jones. The children will not inherit any interest in the farm. The will left by Mrs. Jones is effective for disposing of the CD, so the money invested in the CD will be divided among the children and Mr. Jones as directed by the will. Since the will provides for three equal portions, Mr. Jones must receive one-third and the children two-thirds. The correct answer for this question is B. Candidates learn not only to apply their knowledge but also to analyze facts and select the important facts and principles for dealing with particular issues. They also learn to synthesize knowledge from other topic areas in responding to issues, such as knowledge of CDs in this question. In addition, they learn to winnow out the distractions. The higher order thinking levels tested by the CFP® Certification Examination are analysis, synthesis, and evaluation. Analysis requires candidates to examine facts and separate the parts from the whole and the relevant from the irrelevant. Candidates identify causes and motives and find evidence to support inferences and conclusions. Synthesis is combining elements and finding patterns in order to arrive at possible solutions. Evaluation is making judgments about facts and information and about suggested solutions and courses of action. The judgments may be valuing the most important actions required or prioritizing the steps required. Harold and Mary Anne Miller are a married couple in their early 40s with three children, ages 7, 10, and 12. Harold earns $350,000 per year as General Counsel of a mid-sized IT firm and Mary Anne is a homemaker. They have major assets of $1,500,000 cash and $1,000,000 in stock options. They have done no estate planning. Harold has life insurance of two times his salary from his employer. Harold plans on working full-time until age 62. Harold has the potential to receive more options and restricted stock based on his company’s performance, but has requested that this not be included in his assets for now given the uncertainty. College planning is of great concern to the Millers, currently they have no plan in place. They estimate that they will need $150,000 for each child in current dollars to fund their education. The Millers have constructed a budget and have determined that their household expenses are currently $12,000 per month, after tax. Assume that the Millers are in the 35% federal tax bracket and 6% state tax bracket. Given the facts above, what is the most important piece of the plan that the Millers should implement first? This question requires candidates to sort through a large amount of information about the Miller family to determine the current situation of the family and what actions are required for the family’s financial planning. The candidate must recognize that there are several issues that require attention. The Millers have done no estate planning, so they will need to have wills written. The Millers have a large amount of stock options and should take some action to manage those investments. The large amount of cash can be invested for better returns. They need to do some planning for college expenses for their children, and they should examine their retirement needs and goals to determine whether Harold can retire at age 62. Additional issues may arise as a planner gathers information and data from the Millers. The question asks for a determination based on a limited set of facts, so a candidate has to analyze the facts provided and determine which of the actions identified in the answer choices is most important and should be implemented first. Several of the answers are important pieces of the financial plan, but candidates must evaluate the options to judge which should be done first. Obtaining wills with guardianship provisions is important because the Millers have young children. If the Millers die simultaneously in a car crash or die near the same time, the children will need to have guardians to provide for them and bring them up. The importance of providing for the children and naming appropriate guardians has greater priority than the other issues facing the Millers due to the young ages of the children. The possibility of something happening to both of the Millers is an imminent threat, even if it may be a low probability, so the Millers should deal with that issue first. The other issues are not so pressing and can be effectively taken care of later. Thus, A is the answer to this question. The evaluation required to reach this answer is on a higher cognitive level and depends on the exercise of judgment in performing the financial planning. A CFP® professional meets a prospective client, Carl Guizman, who is 32 years of age and married with two children. Carl is interested in discussing financial planning, particularly education planning for his children and investment planning for himself. Carl works for a marketing company, and he has worked for the company in managing the social media initiatives. Carl earns $65,000 annually and his wife currently works at home as a free lance writer while taking care of their two young children ages 1 and 3. She makes about $20,000 annually. Carl bought a small house in the country so they can raise some chickens and have a garden. In addition to their house, Carl has assets of $30,000, including $15,000 in a savings account and $15,000 in a 401(k) where Carl works. Carl has $50,000 of term life insurance at work, and he bought homeowners insurance on the home. Carl and his wife have done no estate planning and do not have a budget. Carl would like his children to go to the state university where tuition is $13,000 annually. The Guizmans are in the 25% federal income tax bracket and 3% state income tax bracket. What should the CFP® professional do first? This question requires a candidate to make use of the financial planning process to determine what the CFP® professional should do first. The first step of the financial planning process requires the financial planner to establish and define the client-planner relationship. While all of the answer choices are attractive, only one of the answer choices focuses on establishing the client-planner relationship. The CFP® professional needs to determine who his client will be. If the Guizman family will be the client, then it will likely be necessary to arrange a meeting with Carl and his wife together before the financial planner proceeds with defining the engagement and documenting it. If Carl will be the only client, then the planner will be able to proceed with describing the process, explaining the scope of the services to be provided, and defining the scope of the engagement. The financial planner needs to resolve the question of the identity of the client before proceeding with offering recommendations or discussing other steps of the financial planning process. The planner does not get to the issue of will preparation or a retirement plan until the planner has determined the identity of the client and established a relationship with that client. This question requiring the use of the financial planning process deals with only one step of the process, and candidates need to learn about all six steps as well as all of the Job Task Domains. There are also contextual variables that can give additional variations to questions. With the THINK LIKE A PLANNER® study method, candidates will develop the capacity for thinking on these different cognitive levels and making use of the financial planning process. These questions are only a few examples of the approaches candidates must learn to prepare for the CFP® Certification Exam. The objective must be for students to develop the different thought levels within the demands of the financial planning process, so they will be thinking like a planner when they answer questions. Click here for exam review materials and classes that incorporate the THINK LIKE A PLANNER® study method.